The rapper has some after-hours fun with friends. Since being released from prison Gucci Mane hasn't stopped working. He recorded his new album Everybody Looking in six days and has shot a couple videos from his lavish home. Earlier on Monday, he released the visual for his album's intro, "No Sleep." 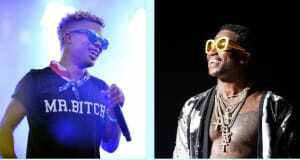 The clip finds the rapper, Young Thug, and Zaytoven palling around with a dozen or so female friends. Watch the video above. Everybody Looking will be released on July 22. Read how Gucci Mane made this album in six days.